Chief Executive Boards Blog: How Much Employee Motivation Can You Buy for $10? How Much Employee Motivation Can You Buy for $10? We've had a lot of conversations in Chief Executive Boards International meetings about the differences in world view of those employees known as "Generation X" and "Generation Y". I had an amazing experience that convinced me that companies are actually changing their management approaches to meet the differences in wants and needs of these vs. older employees. It's quite possible you'll believe, upon reading this, that I've completely lost my mind. I'm still processing it myself, based on that specific concern. I had an extended conversation about employee recognition with two Gen-X'ers and learned something that totally amazed me. Both of these people have MBA's from prestigious schools and work in large NYSE companies at great salaries. Both have traveled and lived internationally. And both were talking about their respective companies' practice of handing out small-denomination gift cards to employees as part of their "spot" recognition programs. Now, here's the part where I started to think I was losing it. In these cases, "small" is REALLY small -- $5, $10 and $15 dollar gift cards -- amounts that could get lost in the roundoff error of their respective W-2's. I apologized in advance, and asked "Would someone who came in on a Saturday to get an important project done by Monday actually be happy with a $10 bonus?" "You mean they're not offended by such a trivial amount?" Well, I learned, there's something wildly different about a $10 gift card and a $10 bill. I still don't know exactly what. Perhaps it's the "indulgence" element. 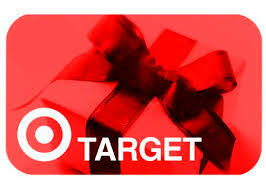 The hottest gift cards going are Starbucks and I-Tunes, plus, believe it or not, Target. Somehow spending $5 apiece for two coffees feels great if it's the shareholders who are buying. One of these people had received a $50 gift card for something a bit more meaningful, and used it at Target to buy Christmas decorations -- something she might have been too frugal to spend "real" money on. Car wash coupons are similarly prized -- you get your car washed more often than you'd be willing to pay "real" money for. It's not just about the gift card -- The acknowledgement of and recognition for the accomplishment must be public, such as at the beginning of a shift or a staff meeting. One of these companies starts every meeting that way. Being recognized publicly is important to every human, and particularly important to Gen-X and Gen-Y. The card usually comes later, given privately. It's not assumed that every accomplishment or recognition includes a gift card -- recognize and praise people regularly & publicly, just as you have been, and then the card is occasional "icing" afterwards. Now, you ask, isn't the gift card ordinary income, subject to the same taxes as a $10 bonus? Yes, indeed it is. In the one case of the $50 gift card, it was clearly stated that this was "$50 after tax." I assume the employer tracks who receives a card, and then grosses up their W-2 at the end of the year. That gross-up is no small deal. Consider Federal taxes at perhaps 28%, State at 7% and FICA at 8%. That takes a $37 gross-up -- to $87 to leave $50 net on the W-2. I don't know how these companies handle the taxability of $5 gift cards and car washes, and neither did these two employees. What I do know is that the tax code is unambiguous in stating that ANY cash-equivalent amount given to an employee is taxable. The specific ruling on this topic is found at: http://www.irs.gov/pub/irs-tege/p_4090_fed_0305_text.pdf While not dated, the document was apparently published in 2005. I didn't see any wiggle room in it at all. Perhaps you will. One would need to control, under lock and key, such cards, just like you would Petty Cash. Good idea -- it's just like cash. And then to stay within the law, you'd need to keep meticulous track of those to whom cards were awarded -- have the supervisor sign a form or something, identifying the recipient. And then turn over those tiny amounts to Payroll to be grossed up and included in the W-2s at the end of the year. Why would you go to all that trouble? Because it might work! The two people who told me about this were smart, well-educated, well-traveled and well-paid. And both were excited when someone gave them a car wash coupon. Go figure. Do keep in mind that this strategy plays best, I think, in the "instant" world of Gen-X and Gen-Y. In the case of these two companies the workgroups involved were mostly under 40. Wow, if you can make 50 people happy with $10 Starbucks cards or 10 people happy with $50 Target cards, isn't that a better outcome than giving a $500 bonus to one person on a pay stub? Think about it -- I'm still processing the idea myself. If you give this a try, be sure to come back in 6 months or so and let us know how it worked for you. I can't wait to hear. Just click "Comments" below. As always, posts you see on this blog are ideas, not recommendations. Before acting, check with your own trusted advisors to be sure an idea is right for your own situation. Excellent post, Terry. And you’re right. Spot recognition programs of relatively small amounts in the form of a gift card do work, but not because of the gift card or the amount. It’s about recognition. Let me share some of the research behind why this is true. Everyone wants to be recognized for their hard work and above-and-beyond efforts. Unfortunately relatively few are recognized consistently, memorably and a culturally appropriate way. Globoforce advocates strategic recognition programs that frequently, appropriately and in a timely way acknowledge and reward performance, personal achievement and team successes. As you note, gift cards are more effective than cash rewards of the same value. This is because cash-based recognition programs do not maintain program consistency on a global scale and do not ensure local participants feel motivated and involved in the organization. Additionally, people become habituated to cash no matter how much you give them, viewing it as an entitlement. An August 2008 study (http://www.nytimes.com/2008/11/20/opinion/20ariely.html?_r=1&ref=opinion) recently highlighted in the New York Times found that in eight of nine tasks, the promise of a bigger bonus actually significantly decreased people’s performance. Multiple studies have proven that simple recognition delivers better results than cash. A Japanese National Institute for Physiological Sciences study found “paying people a compliment appears to activate the same reward center in the brain as paying them cash.” White Water Strategies found acknowledging staff achievements – praising employees – had the same impact on job satisfaction as a one percent increase in pay. These 2008 studies reinforced research results from a 2004 University of Chicago study that found non-cash incentives were 24 percent more powerful in boosting performance than cash incentives. The small amount of rewards is also critical as it allows for more frequent recognition. Frequent recognition of small amounts does far more good in boosting morale, and reinforcing desired actions than a yearly bonus. Taking this a step further, if each recognition is specifically tied to a company value demonstrated or strategic objective achieved (or contributed to), company leaders can begin to track which values and objectives are less understood by every employee and how those values and objectives apply to his or her specific job. Executives can use the recognition program as lagging indicators to target these areas of low recognition for additional training or reinforcement. By taking gift-card rewards out of the desk drawers of managers and putting them into a strategic, governable and compliant recognition program, Globoforce overcomes the issues of security and payroll taxation you mention. Our programs are configured so just managers or any employee can nominate a subordinate or colleague for recognition, with the nomination then subjected to appropriate approvals. Since our on-demand technology integrates with our customers’ payroll systems, we handle the grossing-up of award values to account for the necessary taxation in payroll – for any country’s taxation requirements. Catering to the varied and unique needs of global employees is also critical. We base our program solely on gift cards to more than 2,000 outlets around the world, allowing recipients to use their reward in their own backyard or anywhere in the world to choose from 25+ million options. Moreover, recipients can save up many small awards in the system to make large reward selections, choose to give rewards to charity, or share rewards with family and friends. Our strategic recognition programs save money by reducing manual intervention and eliminating the paper chase while also creating a positive work environment where employees see that best practices, strong ethics and exceptional performance are recognized and rewarded consistently, openly and fairly – an environment that encourages loyalty, commitment and honesty of effort. It is this kind of environment that drives greater morale and productivity when company leaders need it most. We established several gift card programs nearly two years ago. One program encourages perfect attendance by issuing higher value cards each month of perfect attendance with a significant amount at the end of one year. (Then they start over.) This program has been tremendously successful and our absenteeism is virtually non-existent. Without going into all the details an employee can earn as much as $700 in a 12 month period if they maintain perfect attendance. It should be noted that perfect attendance allows for vacations and sick time if used in accordance with our policies. Our second gift card program is related to safety. If there are no incidents during the month then everyone who qualified for the attendance award is entered into a drawing for the safety award. There are two cards issued -- one for $100 and other for $50. During the summer of 2008, when gas prices were incomprehensible we also had a gas card drawing. Again the employee had to qualify for the attendance award to be in this drawing. Also no one could win two weeks in a row. We gave away 4 - $25 gas cards per week. And finally we have gift cards that are handed out completely randomly when someone puts extra effort out on a project. These can range from $25 to $100. In every instance the recipient has been very grateful for the recognition. I know this because they always sent me a thank you note. The total cost of these programs is returned many times over. Aside from improved employee performance we have also found that the employees feel that their efforts are recognized and appreciated.